When Apple introduced Photo Stream to iCloud back in 2011, the Cupertino company made it incredibly quick and easy for its users to share their favorite photos with their friends and family without syncing them to their computer first. But Photo Stream has a downside, and that is that it’s only available on iOS. Fortunately, there are plenty of awesome alternatives with cross-platform support, and one of those is Kicksend. Not only does Kicksend let you share photos with friends — regardless of the smartphone platform they choose — but it also lets you print and send real photos to those who don’t have a smartphone at all. 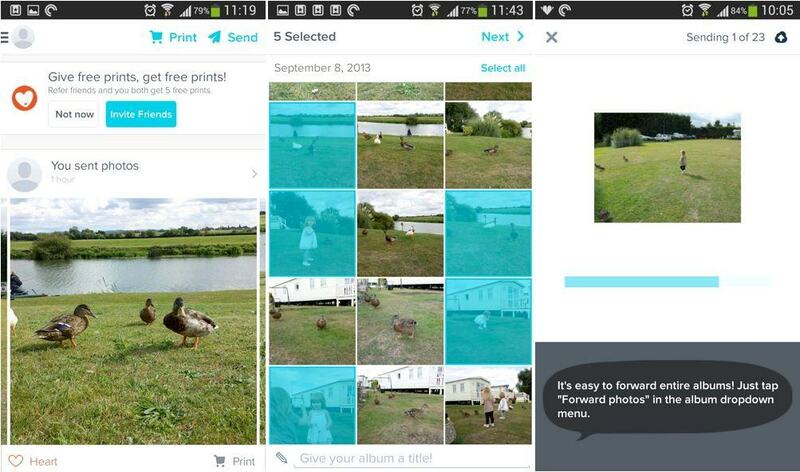 Kicksend is a more intimate photo sharing service. 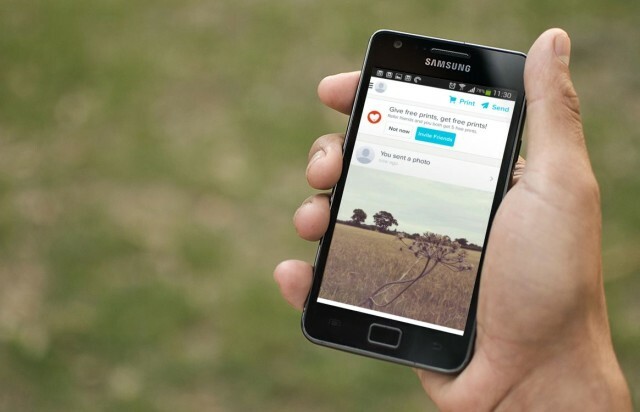 Although Kicksend is a photo sharing service, it’s not another Instagram competitor. In fact, it’s not really anything like Instagram. You cannot search for friends and look at their photos without their permission, and no one can find you and look at the pictures you’ve shared. Kicksend is more intimate. You choose which photos you share and who you share them with, and anyone who’s not included doesn’t get to see them. When you open up the app, you’ll see a timeline of photos you’ve shared, as well as photos that have been shared with you. You can add a “heart” to them if you like them, and leave comments. There are two main functions of the app: sending and printing. Tap the “send” button at the top of the app and you’ll be presented with your photo gallery; you can then choose all the photos you’d like to include in the album you’re about to send, and give it a title. Next, you can choose who your album will be sent to. Your recipients don’t have to be other Kicksend users — simply enter their email address or their phone number, and they’ll receive a message that includes previews of your images, and a link to the album on the web. All the photos you send maintain their original resolution. Kicksend doesn’t do any cropping or compression, so your friends will see your images in all their glory, the way they should be. After you’ve sent your album, you have the option to upload it to Facebook or Google+, depending on which account you used to login to the app. If you have friends or family members who don’t use a smartphone or a computer, you can share your photos with them using more traditional means. You see, Kicksend isn’t just a digital photo sharing service; they’ll also print your photos for you and send them in the mail. What’s more, they’ve teamed up with Walgreens, CVS, Target, and Duane Reade stores all across the U.S. to provide you with a super speedy photo printing service in-store. You choose the photos you want to print, then send them to the store nearest your recipient’s home, where they’ll be able to collect them in just an hour. Every photo is printed on premium archival photo paper with a smooth matte finish, and they’re available in four sizes — 4×6 inches, 4×4 inches, 5×7 inches, and 8×10 inches. They’re priced at $0.49, $0.69, $0.99, and $3.99 respectively, and if you order ten or more prints, delivery is free. The Kicksend app is available to download now from the App Store and Google Play; you can also access the service on the web, or via the Google Chrome web app.